A work-related accident disrupts your life. It causes pain. It causes financial difficulties. It can change the way your employer treats you. You did not ask to be injured. You want to be able to return to work. You want to heal. Worker’s compensation laws were put into place at the turn of the century to provide a quick resolution for workers to receive medical treatment and wage benefits. At that time, the Industrial Revolution was in full swing and litigation involving work related injuries was slowing growth of industry and delaying recovery for injured workers. Worker’s compensation systems were put into place by the states to provide a streamlined system to allow injured workers to immediately begin receiving medical treatment and wage replacement benefits without having to prove negligence on the part of the employer. In response to a no fault benefits system, the benefits recoverable against an employer due to a work-related injury was limited, thus lessening litigation. Each state has a different set of laws that govern its worker’s compensation system. The Indiana Worker’s Compensation Act is the basis of all benefits for work related injuries and the obligations of employers for such injuries. All employers, with a few exceptions, are required to purchase worker’s compensation insurance to cover injuries of their employees. 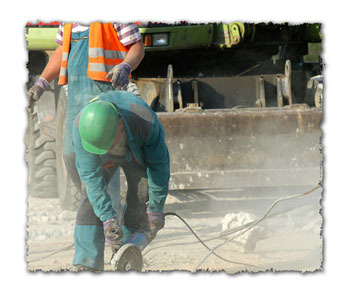 When a worker suffers a work-related injury, he or she is entitled to certain limited benefits regardless of fault. Worker’s compensation benefits in Indiana include medical treatment, wage replacement benefits called temporary total, temporary partial or permanent total disability benefits and permanent partial impairment benefits. Injured workers are entitled to be paid for time missed from work to attend medical appointments and mileage for travel outside the county of employment. When an accident occurs, it is very important to report the accident to the employer as soon as possible. Reporting an accident invokes certain responsibilities of the employer. An employer is required to provide an injured worker with medical treatment. An employer is obligated to report an injury to its worker’s compensation insurance carrier to be certain that proper benefits are paid. An employer’s failure to properly report an accident or provide benefits should be duly reported to the Indiana Worker’s Compensation Board. If you have been injured at work and are not receiving the benefits to which you are entitled under the law, you should contact an attorney for assistance. An attorney can help you obtain proper medical treatment, secure the payment of wage benefits, appeal the denial of your claim, maximize your settlement and assist with other disputes that may arise. The information provided on this website is not legal advice.